Guru of Poker is poker game developed by guru team based on the latest mobile technology. 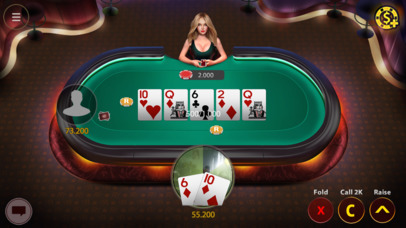 This is the online poker game with beautiful graphics, user-friendly interface with extremely stable connection. Guru of poker has a lot of people online to play with you. In addition to poker, you can play Slot Machine for entertainment and earn chips. You will get a lot of chips, enough to play comfortable after complete each mission. Guru of Poker has better design, more stable and easier to earn free chips than another games.